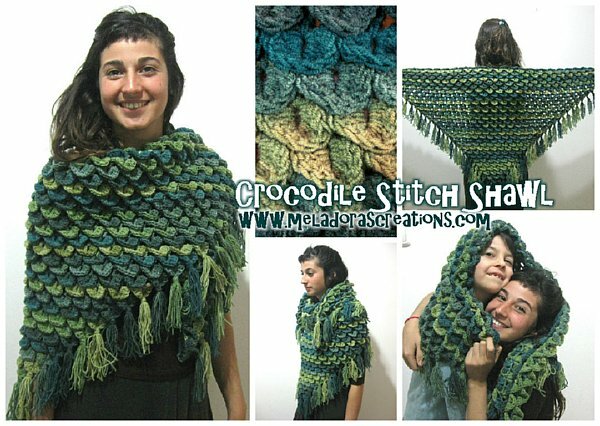 This Free Crochet pattern teaches you how to make a Crocodile Stitch Shawl or Poncho. If you are having trouble learning this stitch you may check out my video tutorial for the Crocodile Stitch Draw Bag. 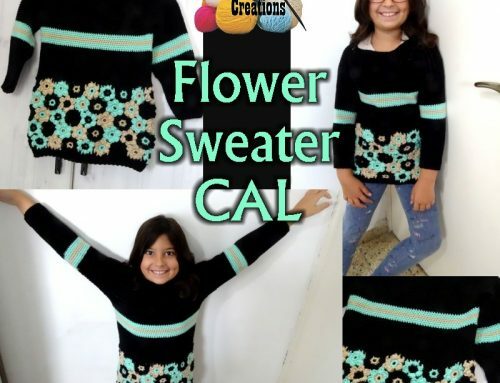 NOTE: You can use any size hook and yarn, could be smaller or bigger, just continue the pattern until you reach desired width size. YARN: 5 to 8 skeins of 4 ply US / 10 ply worsted weight yarn depending on how big you want to make it and if you want to add fringe or not. In the second ch from hook DC and ch 1, skip a chain and DC 2 into next st and ch 1, skip a ch and DC 1 into last st and ch 2 and turn. then DC 5 onto next post working back up. Sl st into the DC to secure the scale. Repeat for row. Sl st into the last DC to end the row. Ch 3 and turn. (The ch 3 counts as your first DC) DC into the first DC. Ch 1 and DC into the middle space of your crocodile stitch, DC 2 into last DC of row. ch 1 and begin your next Crocodile stitch row. Work a Crocodile stitch using the 2 DC’s (remember 5 DC’s going down the post and 5 DC’s going back up the next post) then sl st onto next DC to secure. Work another Crocodile stitch using the next two DC’s. Then continue to row 5, you will be working back down the row now. Ch 3 and DC into between the two double crochets as shown in the picture below. * CH 1 and DC 1 in the middle of the next Crocodile stitch, ch 1 and DC 2 into the next DC. * at the end of the row you should be ending this row with a 2 DC’s worked in the same space as you began this row (as shown in picture below) that space between the DC’s. 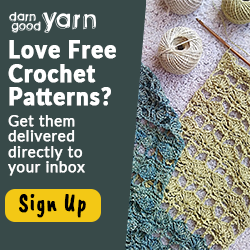 ch 1 and begin your next Crocodile stitch row. 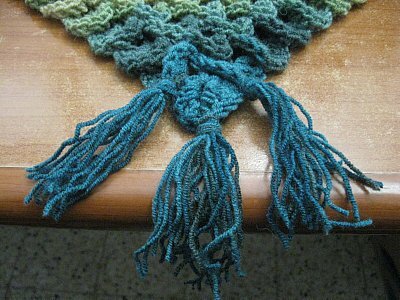 Keep repeating rows 2 and 3 til you have your shawl as big as your like. Changing colors as you see above, only on the DC row, not the Crocodile st row. When your shawl is big enough and you have both sides made you can now sew your project together. I used the single crochet method. Lay one side down with crocodile scales facing up, then lay the other side on top with the crocodile scales facing down. 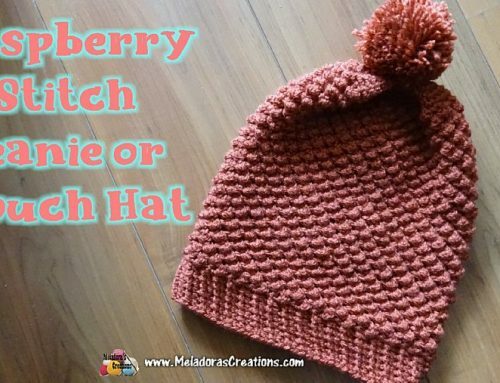 Now you can start single crocheting about ¾ of the way across and then test it on yourself or another to see where you should stop and start for the head space. Mark your spot and then sc the other side. Leaving a hole for the head. Now you can flip it to face the right way and add your fringe. To add the fringe take some of the color you wish to use, and using a movie cd case or a book, and wraping it around the wide way, not the long way, wrap it many times keeping note of the end of the yarn where you started, (end on the same side where you started) cut the yarn down one of the sides. now that you have some yarn bits cut, take 5, or use more if you want thicker fringe, and feed it through the hole at the bottom of the crocodile stitch where the space in between the 5 sets dc’s you made for the scale as shown in the picture below.